Please note: Mailed-out program shows "Friday July 1, 2017" in error!! 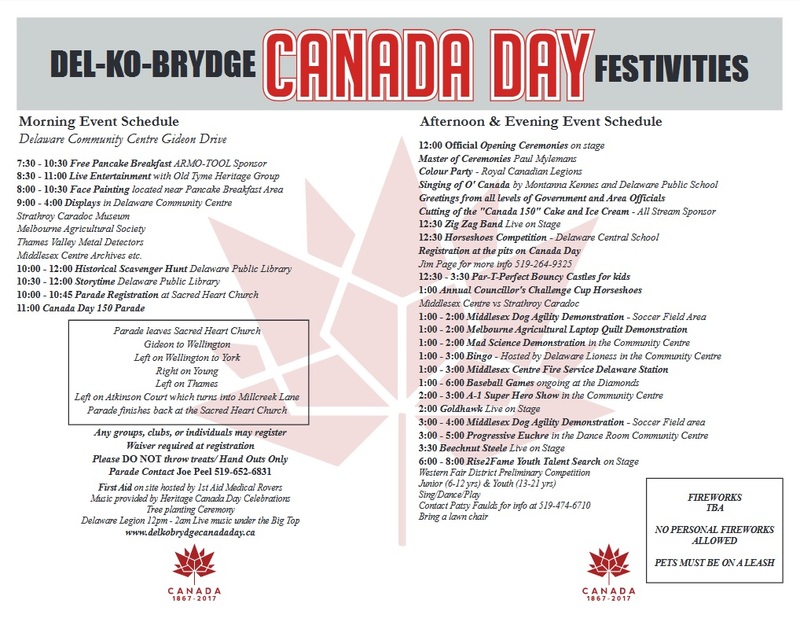 Please be aware that Gideon Drive from Komoka Road to Delaware will be closed for the parade from 10:30 am. Use Gideon Drive east to Carriage Road, Carriage Road south to Harris Road, Harris Road west to Delaware. 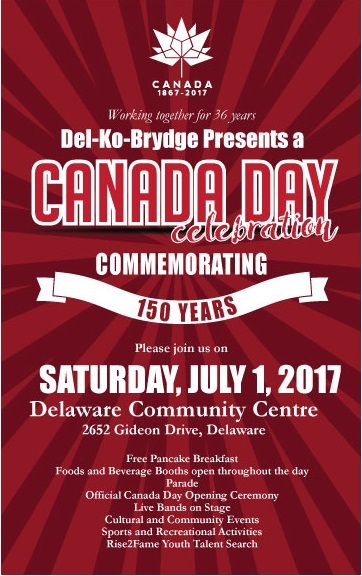 Parking will be limited around the Delaware Community Centre. For special need some spaces will be assigned near the community centre.